Protestas contra contaminación industrial - Protestas contra contaminación industrial con carteles "El estado nos mata!" 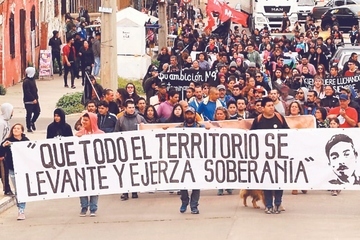 The ongoing contamination in the "Sacrifice Zone" of Quintero and Puchuncavi and the lack of measures against contamination and to protect environmental defenders led to the assassination of artisanal fisherman and fisher union leader Alejandro Castro. 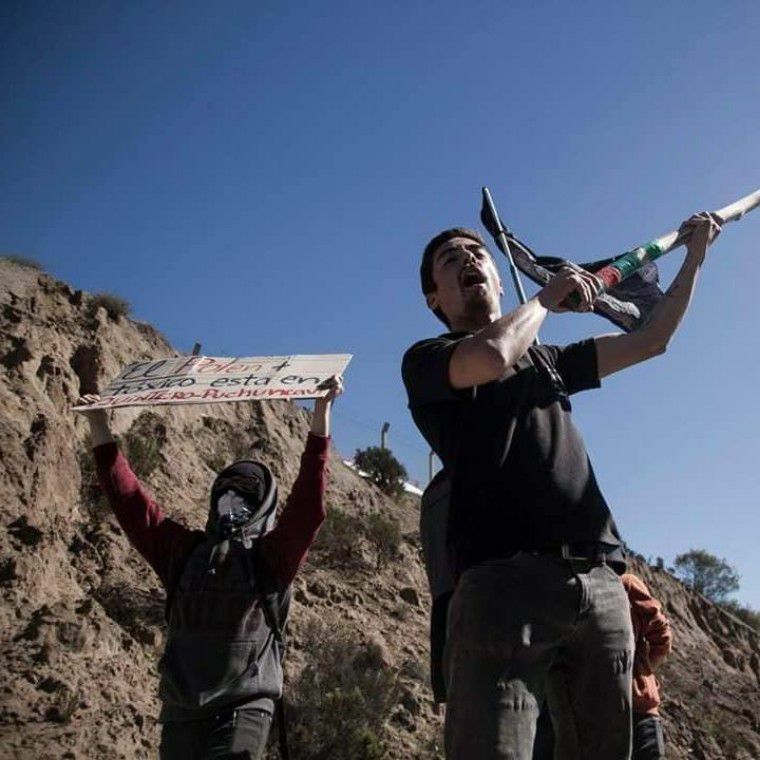 The communities in Quintero and Puchuncavi have been resisting the industrial pollution in their area already for some decades by naming Quintero as one of Chile's four "Sacrifice Zones" [12, 18]. A range of industries have been operating in this region without an effective public monitoring since 1964, dumping different types of toxic chemicals in unknown quantities. "The term is used by socio-ecological movements in Chile to characterize geographical areas where industry and waste production are so heavy that the whole area and the people living there are considered sacrificed on the altar of economic growth"  In order to establish a stronger and coordinated network to act against such an immense contamination, local people and communities have founded a "cabildo abierto" (open council) to confront environmental crisis . Recently, after the first registration of intoxication on 21 August 2018, the cases of contamination caused by the activities in the industrial zone intensified causing illnesses to several people including a high number of children. The state-owned company ENPA is one of the main responsible actors of the recent toxic contamination together with other companies like Gasmar and Oxiquim [20, 21]. 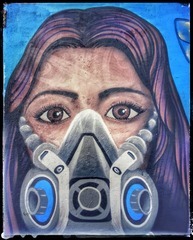 Research on the contamination in the Puchuncavi zone  already had that “at the end of the 1980s, pioneering studies indicated that the toxic agents in the Puchuncavi air posed risks for the quality of life" and emphasized the lack of mitigation. This led to the declaration of Puchuncavi as a Saturated Zone for particulate matter (PM) and sulfur dioxide (SO2) in 1993, a condition that continues to exist today [18, 14]. 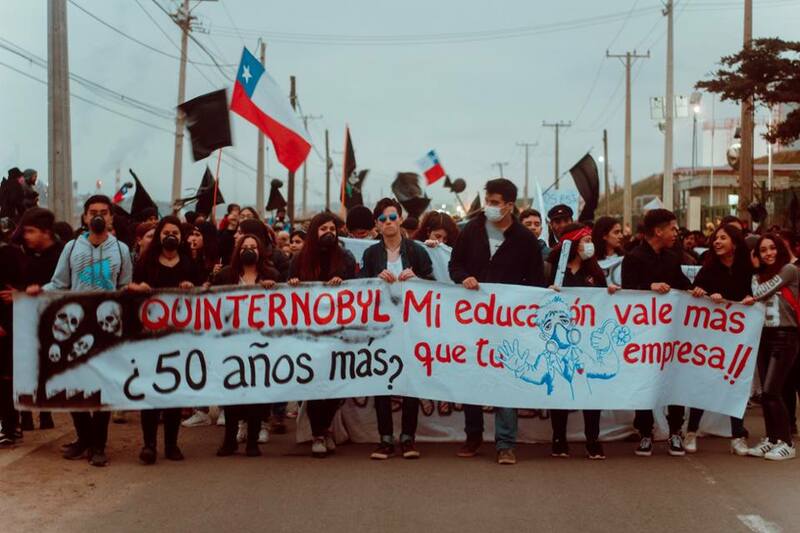 The Chilean Medical Union Association recently requested the government to declare a health emergency in the area [15, 18]. Currently, there are more than a thousand people intoxicated, including two police experts who were examining the area. However, up to today, the acute intoxication continues . In the following days in September and October, schools closed and social actions and protests increased in the region. However, the protesters faced an unusual amount of force with water cannons, rubber bullets and tear gas from the special forces and navy [12, 18]. Small-scale fisher people of the region, who are losing their resources due to contamination, have been an important part of these protests. Already in 2016, they had declared the polluting activities of ENPA and asked for mitigation claiming that in two years the company destroyed the entire flora and fauna damaging irreversibly the sea and the artisanal fisheries [6, 7]. 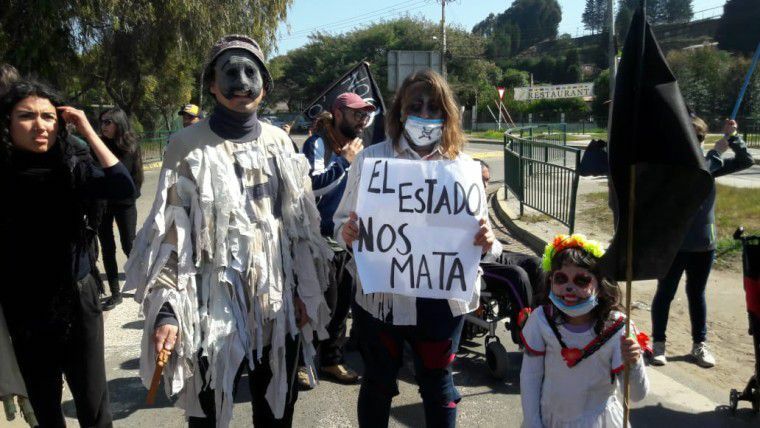 Soon after the march against contamination and chemical intoxication, one of the leaders of the syndicate (Union of Fisher People) Alejandro Castro has been found dead on 4th October 2018 [1, 9, 18]. 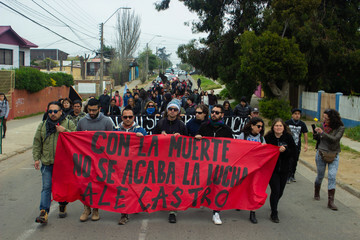 Even though the Chilean Government first claimed that it was a suicide, there are lots of evidences that he was receiving threats and his comrades and family claim that is must be an assassination. The police confirmed that he was receiving death threats  and the Congressman Latorre called for the revision of the cameras on the location where Alejandro was found dead [10, 18]. Alejandro’s case comes in the wake of the Macarena Valdes case, who was found dead in 2016, and the Mapuche leader Nicolasa Quitreman, found dead in 2013. All cases were first labelled as suicides. However, a police investigation later recognized that Macarena did not commit suicide [11, 18]. 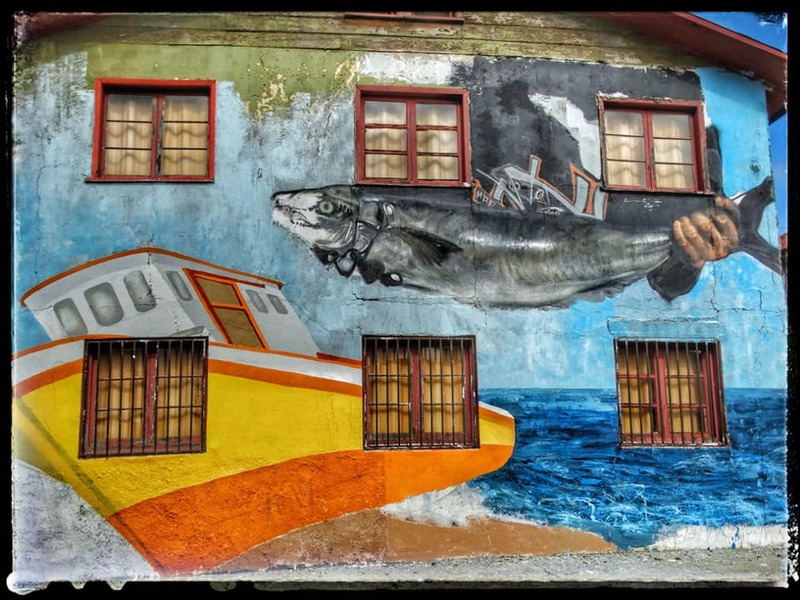 The Escazú Agreement, which has been initiated to protect environmental activists [16,18], seeks to improve environmental governance through access to information, participation and environmental justice. This agreement was initially proposed by Chile, among other countries, and is now sponsored by the United Nations, through ECLAC, in line with the 10th principle of the Rio Declaration. Unfortunately, Piñera’s administration recently dropped out of the Escazú agreement. However, Alejandro’s assassination is another grim reminder of the urgent need to protect environmental defenders . Project Details "As of today, there are at least 12 high-impact industries operating  in the Puchuncavi zone in an area of 8.5 square km, including oil refining, chemical processing, thermoelectric industry and a copper processing plant. 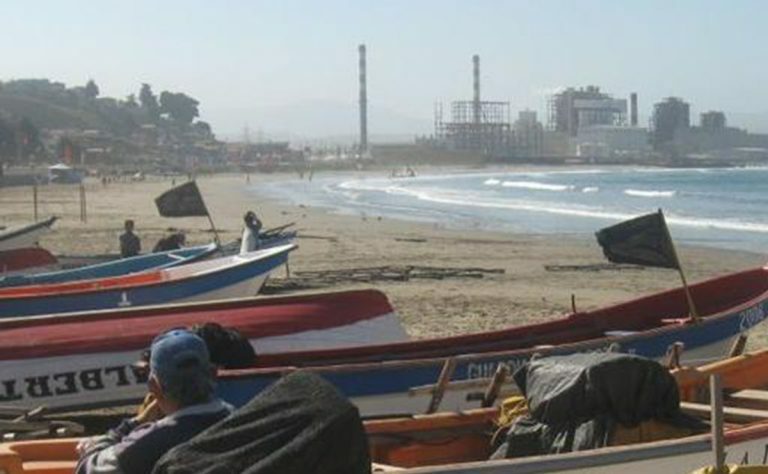 According to the Chilean legislation, an area can be called saturated due to the pollutant’s concentration. But environmental legislation does not prohibit installation of new facilities and a cleaning plan can take up to 9 years" before it really takes place" . 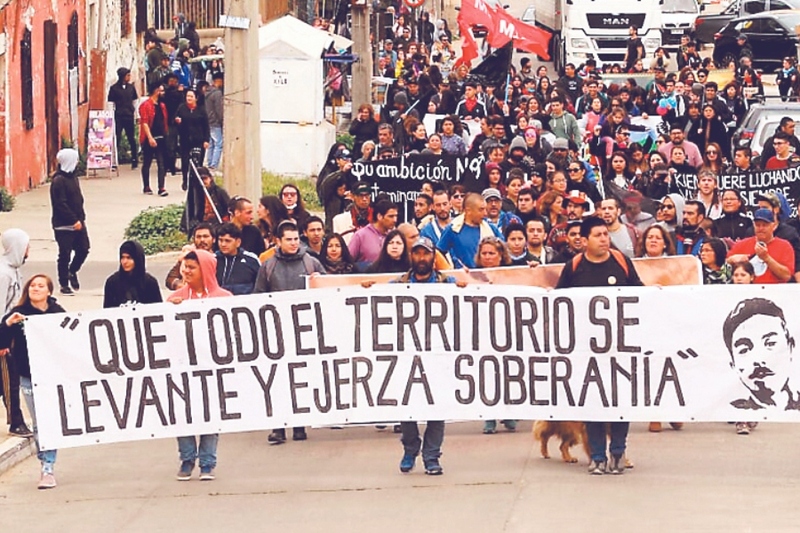 Empresa Nacional del Petróleo (ENAP) is one of the main responsible actors of the recent toxic contamination as well as Gasmar, Oxiquim and Nexxo have been found responsible after that the experts monitoring the plants have been intoxicated . Development of Alternatives The communities, fisher people and the entire network protesting the contamination in Quintero propose stopping the toxic activities of the industries in the "Sacrifice Zone" and cleaning up the area. Why? Explain briefly. The contamination caused by the toxic industries led to the criminalization of activists and even to the assassination of Alejandro Castro. Protestas contra contaminación industrial Protestas contra contaminación industrial con carteles "El estado nos mata!"